Swedish collective Note Design Studio has created a collection of bathroom furniture and accessories for small living spaces. 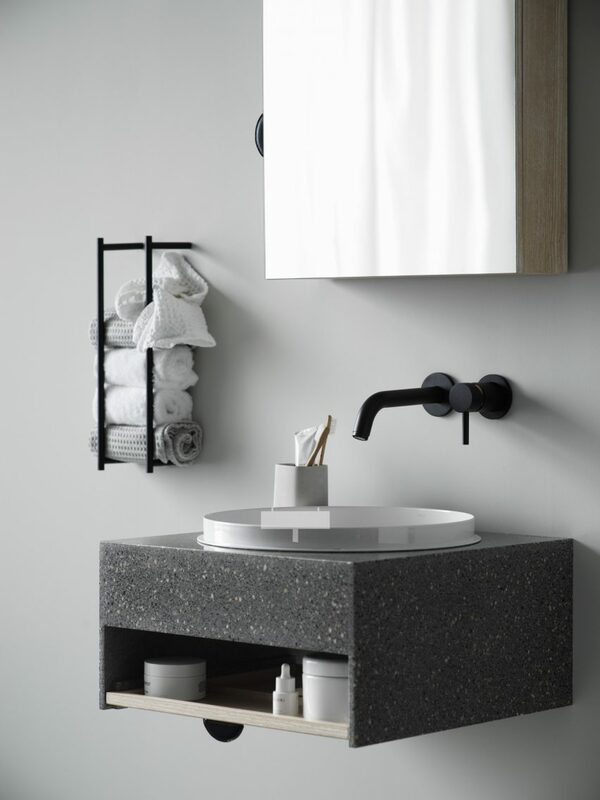 Manufactured by Korean brand Lagom Bath, the Note Collection includes minimalist accessories, cabinets, lamps and hooks, created specifically for compact living spaces in Asian cities. 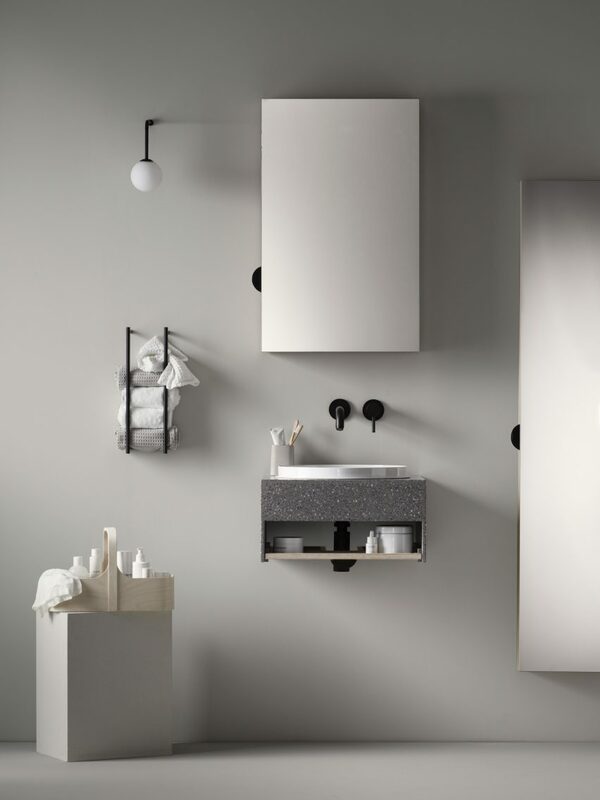 “Lagom Bath asked us to create a collection of bathroom cabinets and accessories for the Asian market, where the bathroom ranges available are today very formal and similar to each other,” explained the studio. “They asked us to change that feeling by creating something that helped the room to feel more emotional and comfortable,” they continued. The collection is split into two ranges – Type 1 and Type 2 – that complement each other but offer slightly different finishes and forms. Type 1 features plain green tiles, a natural ash cabinet and a simple wall lamp with an arched stem, Type 2 includes mirrored cabinets, a pendant lamp and two speckled beige tiles. Both include the same black semi-circular handles, black metal towel rail, toilet roll holder and shelf. 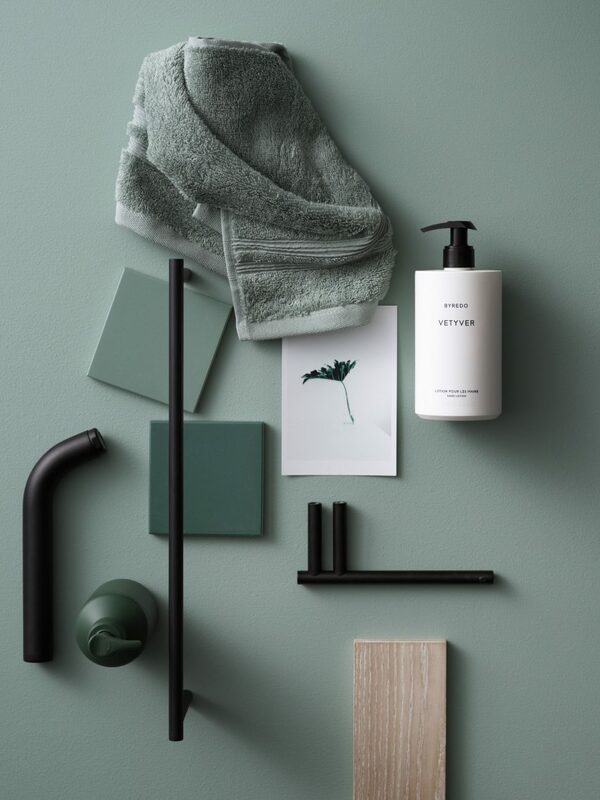 The collection marks Lagom Bath’s first collaboration with Note Design Studio and forms part of Korean brand’s first release. “When we received the project we wanted to create a smart, easy to use bathroom setup for the design interested Korean public,” said the brand. “In both the Scandinavian and Asian cultures there is an appreciation of purity and simplicity in design which we wanted to work with,” they continued. Note Design Studio are not the only designers to contribute to the brand’s debut collection. 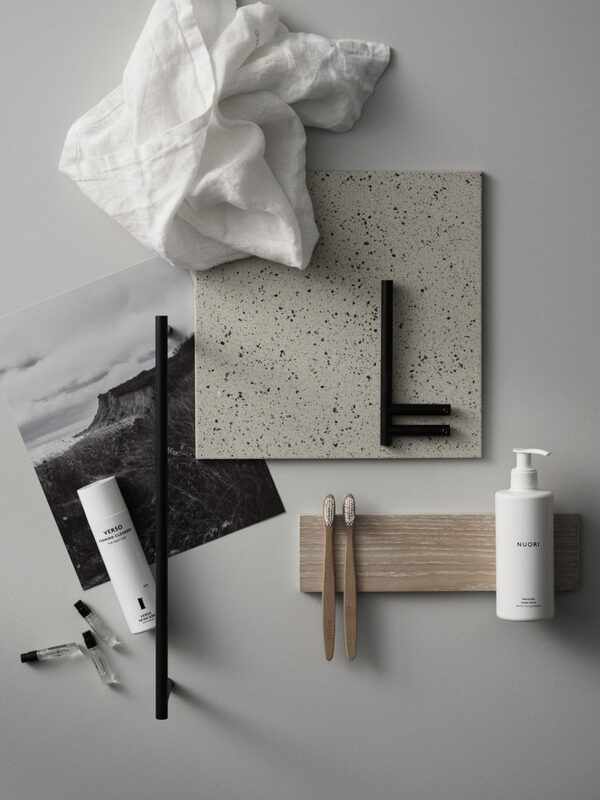 Copenhagen-based Norm Architects has also created a collection of minimal bathroom cabinets and accessories for Lagom that are designed for use in tight living spaces. Photography is by Ragnar Ómarsson and styling is by Lotta Agatom. Be the first to comment on "Note Design Studio creates compact bathroom furniture for Lagom"